Shop vegan and cruelty-free women's oral care products. All of these products are 100% free of animal-derived materials, ingredients, by-products and testing. Shop with the confidence of knowing that your oral health doesn't have to come at the cost of animal welfare. What are women’s “vegan” and “cruelty free” oral care products? The term “vegan” with regard to oral care products, refers to those that do not contain any animal ingredients and/or byproducts, but they may be tested on animals. “Cruelty-free” products are not tested on animals, but they might include animal ingredients and/or byproducts. Buying products that are vegan and cruelty-free means that no animal ingredients or testing are involved. What ingredients are used to make vegan oral care products? Coconut Oil: Helps neutralize harmful bacteria and supports tooth enamel. Neem Oil: Has antimicrobial properties that can prevent dental and gum diseases. Green Tea Extract: May help to slow tooth decay and helps freshen breath. Aloe Vera Juice: Can alleviate dry mouth symptoms. 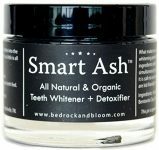 Activated Charcoal: Helps pull toxins from the mouth and removes stains. Vitamin C: Can reduce gum inflammation and repair soft tissues. Plant-based Glycerin: Used to help maintain moisture levels in oral care products. Xylitol: A natural sweetener that helps treat cavities, stops bacteria from sticking to teeth, and works to naturally whiten teeth. Why buy oral care products that are vegan and cruelty-free? Animal derived or sourced ingredients aren’t needed to create effective toothpaste or mouthwash. And if your ethical leanings include animal welfare, then it’s the only way to go; after finding out rabbits go blind when exposed to certain ingredients during animal testing (among other routine atrocities), many people have a hard time supporting products that are tested on animals, or buying products whose ingredients are tested on animals. Buying vegan and cruelty-free products means you’re supporting products that don’t use ingredients forcefully taken from animals, or are forcefully tested on them. If we stick together as consumers and stop buying products that are derived from cruelty, then ultimately they will go away. Are vegan & cruelty-free oral care products expensive? In general, vegan and cruelty-free toothpaste, mouthwash and other products are not any more expensive, or any less-expensive, than products that include animal sourced and derived ingredients and/or test ingredients on animals. Just like non-vegan products, differences in the quality of the ingredients used, manufacturing processes, and different brand names can make prices can vary from one item to the next. Some vegan/cruelty-free oral care products are very affordable, some are quite expensive, and many are somewhere in between. 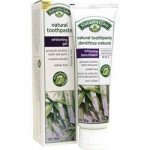 Should I get rid of any non-vegan toothpaste that I already own? There are a few different schools of thought on how to ethically replace your oral care and other products as you become more and more acclimated to a vegan and cruelty-free lifestyle. But at the end of the day, it’s something only you can decide; it depends on what you can afford, and what you’re comfortable with. If you’re not comfortable using toothpaste you found out was tested on animals, then an option might be to give it to a close friend or family member. Another option is to use it until it’s gone, and then replace it with a vegan/cruelty free tube when you’re out. Simply throwing it out is also an option, but is arguably quite wasteful, so this route might be best be suited as a ‘plan C’. 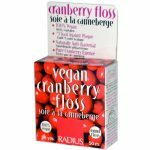 What companies make vegan/cruelty-free oral care supplies for women? How do you choose which companies to list? We keep an ever-growing list of companies that we find, or are suggested to us, whose entire line of women’s oral care products seems to be completely animal-friendly (vegan AND cruelty-free). We contact each of these companies to find out what products, if any, use animal-derived or sourced ingredients or materials, or have ingredients that are tested on animals. If they assure us that the products they make are suitable for vegans, and they can be bought on Amazon, then we list those products here for your shopping convenience. Do you list vegan oral care products from non-vegan companies? Some of the toothpaste we list is made by companies that might use honey in some of their other products. However, none of the products we list contain honey, or any other animal sourced or derived ingredients, nor ingredients that are tested on animals. But how can you support non-vegan companies? While we favour companies that only make vegan oral care products, or any vegan product for that matter, we still applaud non-vegan companies for evolving and expanding into the realm of vegan and cruelty-free. We think it’s great that more companies are adding cruelty-free and vegan toothpaste, teeth whitening products, dental floss and other items to their product offerings, whatever the reasons behind it might be. This just gives vegans more purchasing options, and might encourage people who wouldn’t otherwise try vegan products to do so, even if it's just by accident! Plus in some cases, it is the only available option (there aren't a whole lot of companies exclusively making vegan and cruelty free floss out there). We try our best to find mouthwash and other oral care products that will ship to customers worldwide. Unfortunately, some products don't ship outside of the country in which they’re being warehoused due to tight shipping restrictions for certain products, excessive taxation, or any other number of reasons. We’ve got more helpful pages about vegan personal care products…and some other dandies! If you (or your employer) make vegan and cruelty-free toothpaste, mouthwash, or any other vegan and cruelty-free product for that matter, we’d love to feature you and your products on our site... at no cost! Contact us at - info(at)getitvegan(dot)com - to find out more!